Microsoft Windows insider team is testing Windows 10 1607 cumulative update build 14393.294 for PC and Mobile 10.0.14393.294. This is a big jump from current build 14393.187. 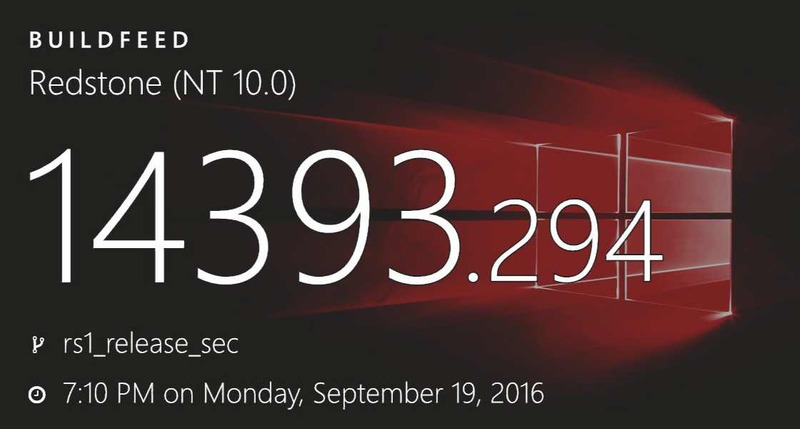 The latest update build is compiled on September 19, 2016.